Green Country students got to sit down with historical figures like Martha Washington and Ben Franklin last week. 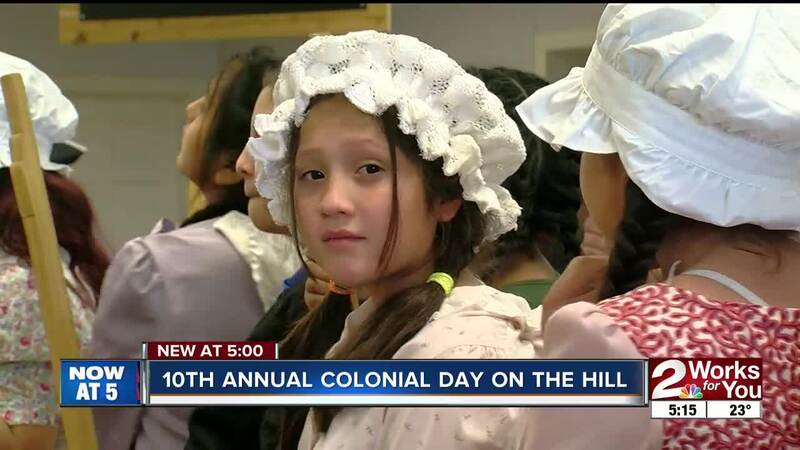 It was part of the 10th annual Colonial Days. It’s an event that recreates the American Revolutionary period. Actors come from across Oklahoma, portraying important characters from the past and teaching the students about what life was like in the 1700s. They hold the event “sot that the students of today can get a feel for what a history was actually like -- that they were real people breathing, eating, having families just like we are,” organizer Dessa Weber said. The sponsor, Oklahoma Foundation for Excellence says about 5,000 Oklahoma students have attended Colonial Days over the past 10 years.